Mr. Thomas Sundby of Athabasca passed away suddenly at home on Wednesday, November 14, 2018 at the age of 72 years. Thomas was predeceased by his father Oscar Sundby, mother Pauline Bekker, step-father John Bekker, and brother Ed Sundby. 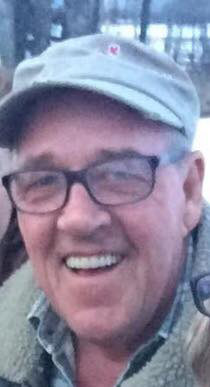 He leaves behind his daughters; Michelle (Kurt) Jensen, and Tracey (Wayne) Beatch, grandchildren, Cameron Sundby, Peyden Jensen, Trystn Jensen, and Sarah Beatch, sister Judy (Trevor) Rendle, brothers; Gordon (Cindy) Sundby, David (Florence) Sundby, and Doug (Colleen) Sundby, his former wife Sandra Sundby, as well as numerous nieces, nephews and close friends. A memorial service will be held at the Athabasca Community Chapel on Wednesday, November 21, 2018 at 1:00 P.M.